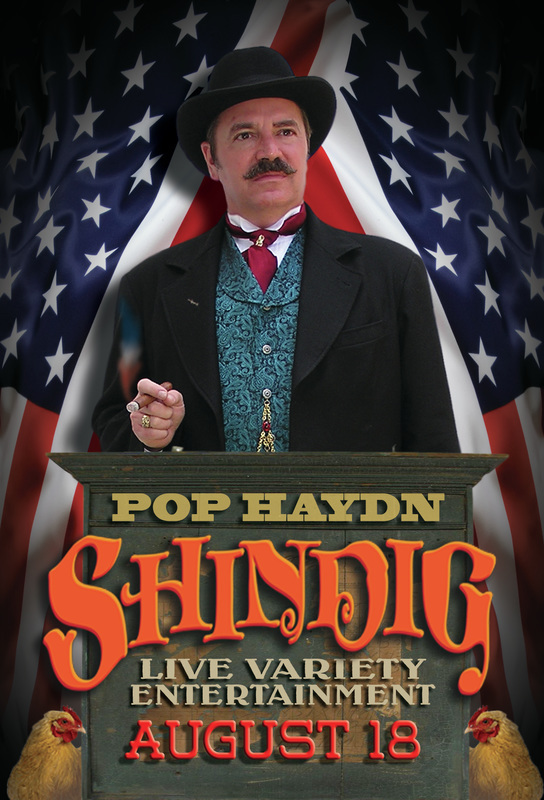 Pop Haydn presents full theatrical variety shows, both for theaters and for special events such as sales meetings, private parties, fairs and festivals. is a modular variety show that can fit any stage or budget. 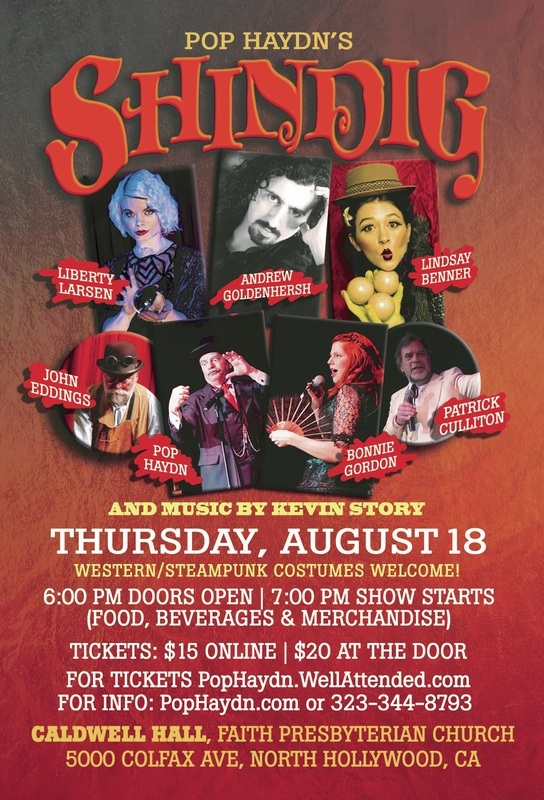 It features magic, comedy, variety acts and music in a steampunk-oriented show that is guaranteed to make you feel better! 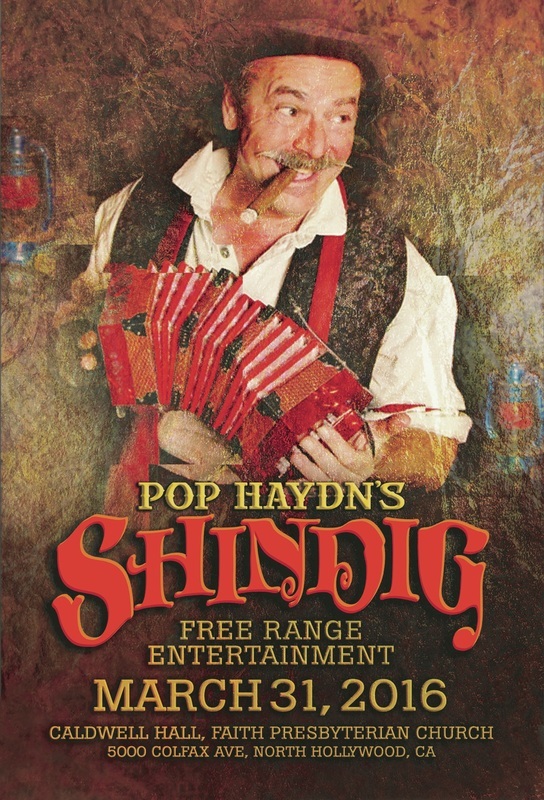 Pop Haydn does a fun Burlesque show with a Gold Rush theme and a steampunk attitude. Fun for audiences of both men and women, this show has comedy, music, magic, variety and, of course, nearly-naked ladies. It is a friendly, good-natured show that spoofs itself and takes nothing seriously.